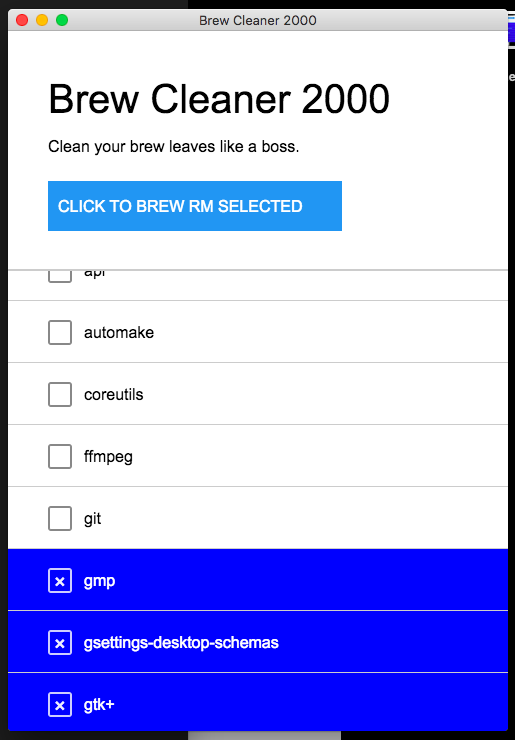 Want to be notified of new releases in cztomsik/brew-cleaner? Sample react application for node-webrender so that you can see what's supported and how to setup your environment if you want to play with this too. You can then do changes to the code and it should refresh instantly (or with just little pause). Some errors are tolerated but some might just crash so maybe you can use nodemon or something if that is an issue for you. You can start react-devtools with react-devtools if you have them installed globally. You can also start application without HMR but it's not that much fun. Show how to ship native app.